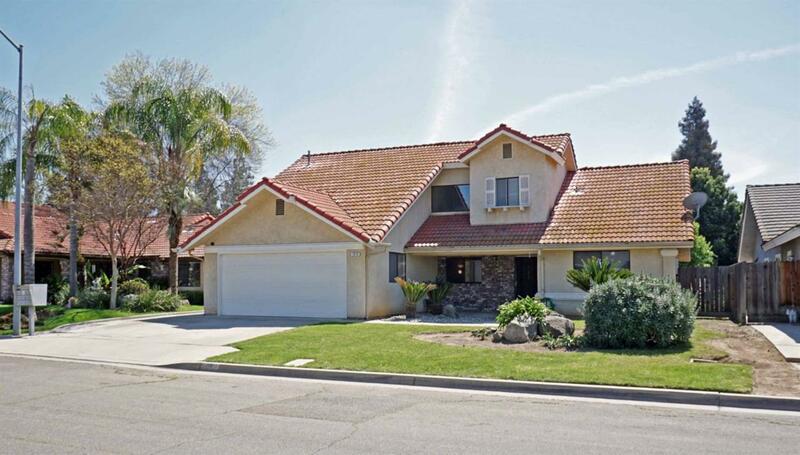 This 4 bedroom 2 bathroom home is located in a well-established area in the Clovis West School District. This home includes a spacious living room and separate family room with fireplace and access to the backyard. The hall, family room, dinning room and kitchen has new dark wood like laminate flooring. The kitchen features freshly painted cabinets, breakfast bar, pantry and eating area with built in hutch. Three spacious bedrooms and main bathroom are located downstairs. Upstairs there is an isolated Master bedroom with walk-in closet and on suite bathroom. The backyard includes new artificial grass, river rock boarders and a custom gazebo that's great for your outdoor gatherings. Buyer will need to assume the solar agreement at close of escrow and the buyer will need to be approved with Digital Federal Credit Union. Listing provided courtesy of Tamara Nuckles of Guarantee Real Estate.